Old City is by all means the most interesting and the most attractive part of Dubrovnik. Since it occupies a rather small city area, it is best to sightsee on foot. While walking through the romantic city lanes you will not only see the most interesting sights, but also feel the specific, somewhat mystic atmosphere rising from the ancient stone walls. The smell of aromatic herbs, the whiteness of the sheets drying in the sun between the houses, the constant chatter of the locals on the narrow, busy streets… the best way to learn, to feel the city is to merge with the crowd and let it take you on an unforgettable journey through the maze of Dubrovnik city streets and through centuries. The entire historical city core is surrounded by the medieval ramparts, creating the perfect illusion of a well protected settlement from some other, past times. There are several city entrances located below the magnificent forts overlooking the gates. 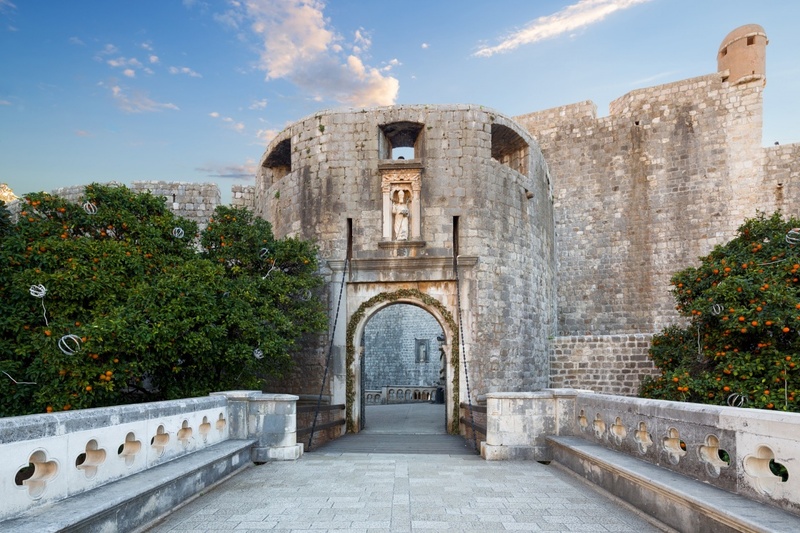 If you approach the ramparts from the direction of the modern Dubrovnik city center, you will enter the old town through the Pile City Gate, the main city entrance. The gates are overlooked by the two forts: Minčeta from the north and Bokar from the south. Minčeta Fort is considered one of the most beautiful fortifying objects in the world. It is one of the recognizable Dubrovnik symbols offering a magnificent view of the entire city. Bokar Fort was designed to defend the city from the sea; today it is the venue for performances of the Dubrovnik Summer festival. 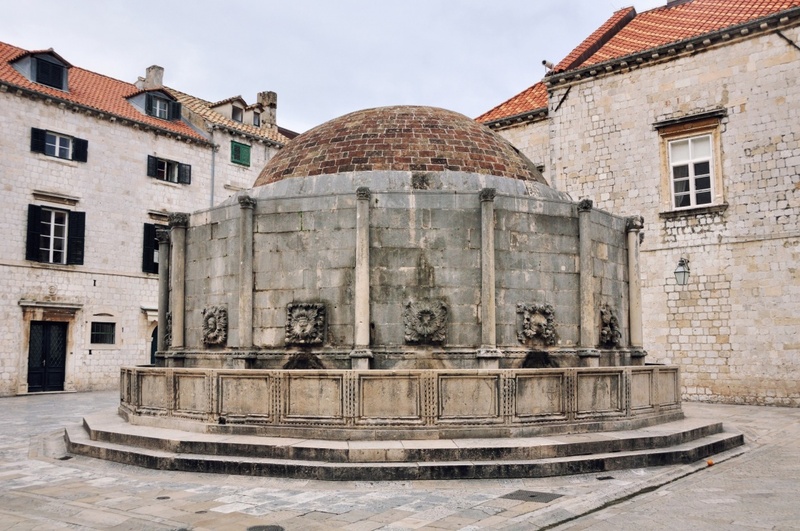 Once you enter through the city gates you will find yourself looking at the beautiful Onofrio Fountain, the favorite meeting place of the city youth. Perhaps the most beautiful and interesting monument of this part of the Old City is the Franciscan Monastery built in the late medieval period. It is one of the finest and most harmonious examples of Gothic and Romanesque architecture in Dubrovnik. The church of the monastery is often a venue for various concerts throughout the year. 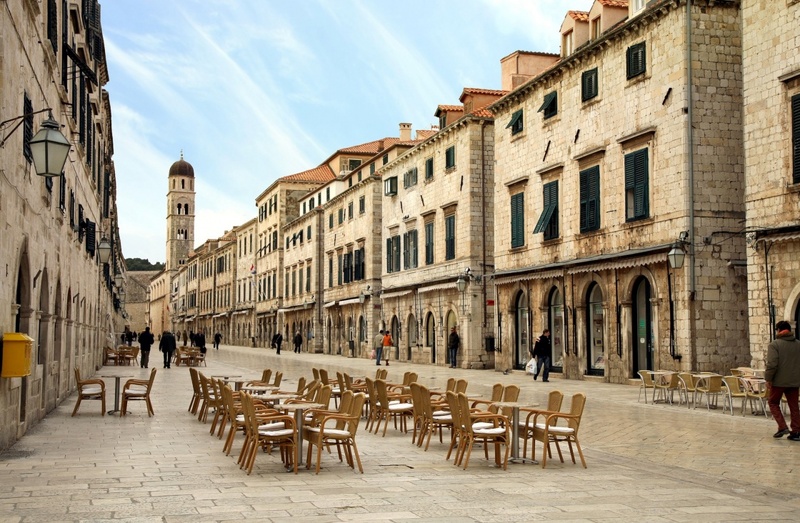 As you walk on, you will find yourself on the most famous and beloved Dubrovnik city street, Stradun. 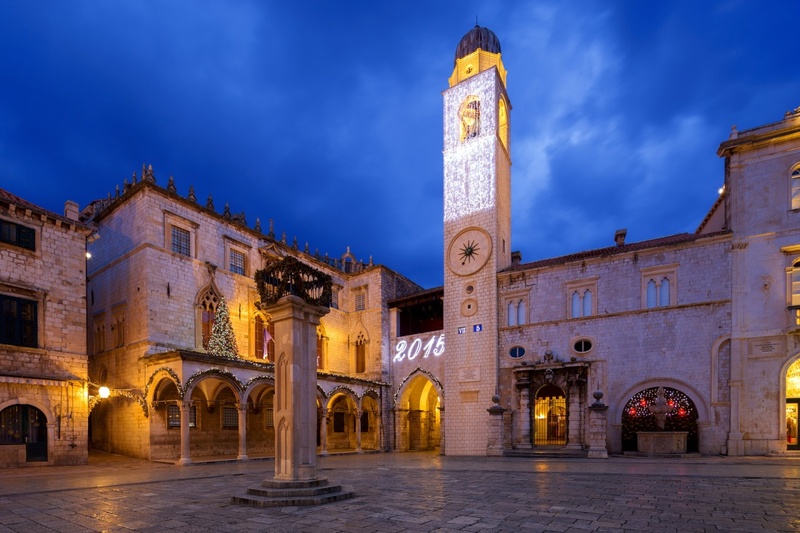 With its numerous souvenir shops, galleries, coffee bars and restaurants, Stradun is never quiet. As you make your way through the crowd, you can enjoy in the performances of many street entertainers. On its other end, Stradun finishes in a lovely square surrounded by some of the most important historical sights of Dubrovnik. You will see the City Cathedral, the Church of St. Blaise, the Sponza Palace (the city archive), the Rector’s Palace, the bell towers and the Orlando’s Column. All those beautiful monuments are the finest examples of the late medieval and early renaissance architecture. 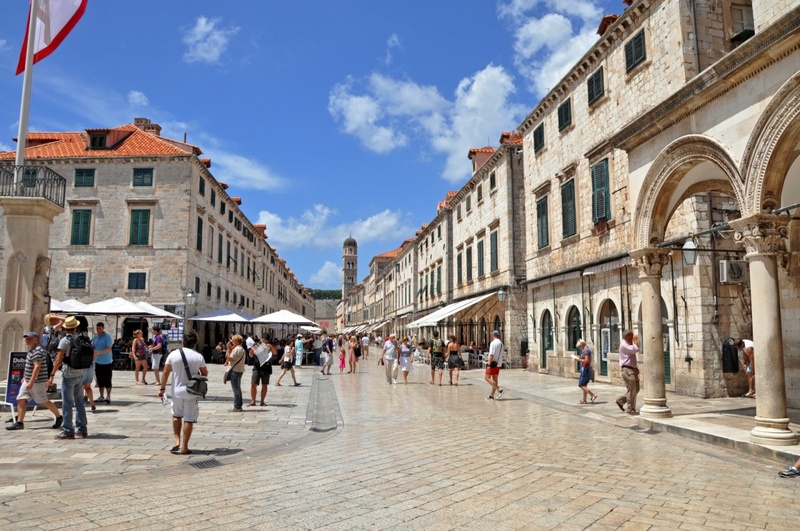 Once you complete this sightseeing route obligatory for every Dubrovnik visitor, you can lose yourself in the maze of narrow city streets and explore other sights. There are numerous museums and galleries where you can enjoy some of the finest exhibits of historic as well as contemporary art. If you wish to take a break from art and history lessons, just enjoy the view; soak up the authentic atmosphere and observe the dynamic everyday life in the city. Once you get tired and hungry, literally follow your nose. Inviting aromas of the delicious Mediterranean cuisine are spreading throughout the narrow city streets from numerous restaurants and taverns convincing you to take a break and try some of the local specialties. The Old City doesn't lose its vividness after dark; on the contrary. Numerous musical and theater performances on the city squares and a variety of happenings in the countless city venues preserve the dynamic of the city life long after sunset.